The Startup Europe Comes to Silicon Valley (SEC2SV) annual mission, created and organized by Mind the Bridge as part of the Startup Europe Partnership initiative and co-organized with EIT Digital, brought together a group of entrepreneurs, investors, managers, and policy makers from both sides of the Atlantic in the Bay Area. In 2017 SEC2SV has also hosted the “Europe’s Digital Agenda Meets Silicon Valley” mission organized with the support of the European Commission and European Parliament. 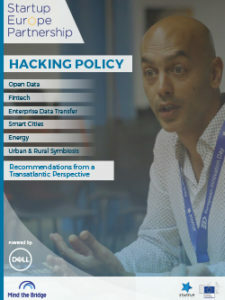 The week-long program of activities featured a Policy Hack in partnership with Dell, to explore innovative ways to address some of today’s most pressing policy issues faced by global innovators and entrepreneurs. The objective of the Policy Hack was to give top-line thinking from a transatlantic perspective on how to best structure the dialogue between startups, policymakers and regulators in a way that allows entrepreneurs to develop innovative goods and services while achieving public policy objectives. More than 30 representatives from two very different ecosystems spent a creative afternoon together discussing better policies in an informal setting. With backgrounds as entrepreneurs, investors, policymakers and advisors they had to agree on how to tackle policy problems in a way they could all back. 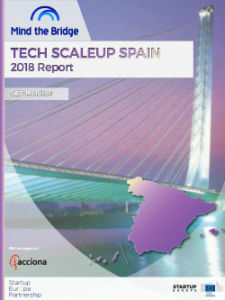 The general starting point was to share transatlantic insights on how to best structure the dialogue between startups, policymakers and regulators in a way that allows entrepreneurs to develop innovative goods and services while achieving public policy objectives. Teams of five to six ‘hackers’ were given two hours to brainstorm and draft solutions for six different issue areas: Open Data, Fintech, Enterprise Data Transfers, Smart Cities, Energy, and Urban & Rural Symbiosis. Each solution was then pitched to a team of judges. Teams were asked to draft a solution that had a reasonable level of utility and featured the ability to be replicated as well as prospects of being adopted. This report describes the Policy Hack methodology and summarizes the main outcomes of the discussion. The “hacking” process exposes policy matters to a balanced representation of policy makers, entrepreneurs, and investors, using problem-solving processes that are closer to the world of entrepreneurs. The recommendations below should be considered as input to developing actionable proposals.